A.) Today was my day to make Meyer lemon gelato. B.) 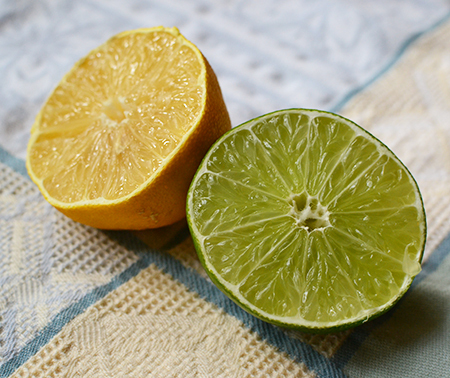 What is a Meyer lemon? C.) Today was NOT my day to make Meyer lemon gelato. If you chose "C," you are correct. Sigh. Our Friend Barbara is coming to dinner. Although the theme is Argentinean cuisine, I thought the citrusy gelato would give our meal perfect closure. Of course, I should have remembered that the ice cream machine insert (you know, the part you keep in the freezer?) was in the pantry. A.) Tomorrow will be my day to make Meyer lemon gelato. B.) 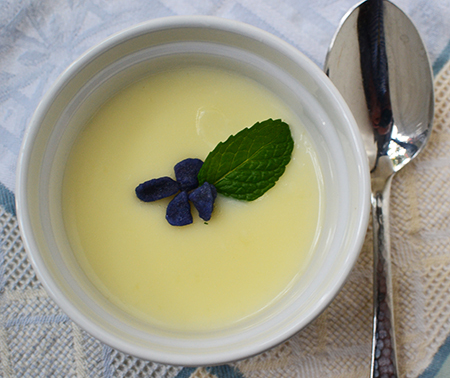 Today became my day to make lemon-lime posset. C.) Both A and B.
Barb introduced us to lemon posset years ago when we hosted a citrus-themed dinner; we loved it. This is the syllabub-like modern version, not the alcoholic medieval version that pops into Markipedia’s strangely archaic mind. 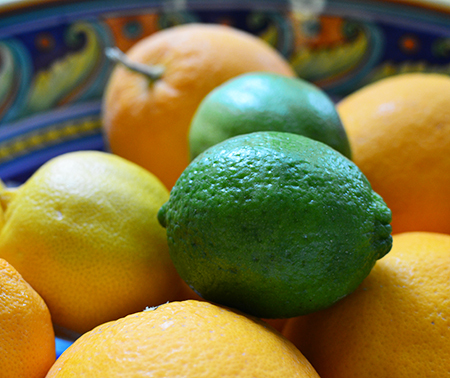 We have on hand a plethora of lemons and limes - gifts from friends’ and neighbors’ gardens (at this season, citrus sometimes appears anonymously on the doorstep, like surplus zucchini and tomatoes in other climates and seasons), I thought a combination of the two citruses would be perfect. And the recipe is so simple. 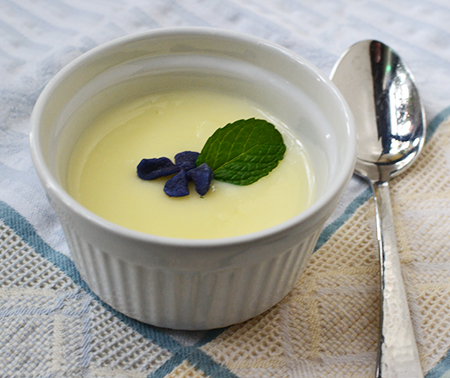 Posset is generally made from three ingredients: cream, sugar, and lemon. 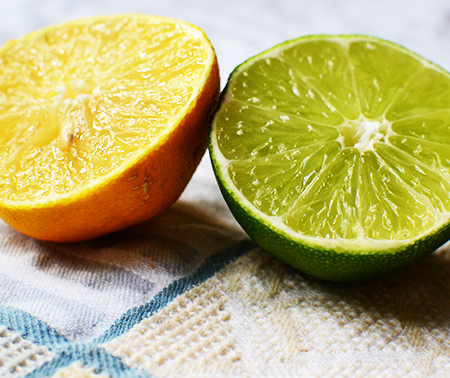 Today, I added a fourth ingredient: lime. For something as silky and delicious as this, you'd think it would have taken time and significant effort. The result of a few minute's work is a creamy, tart, and light-feeling dessert (despite the cream content). You might be wondering how this recipe sets... It is very simple and based on cheese-making techniques. The citrus makes the cream curdle, but in a silky way. The sugar smoothes out the process, leaving you with little cups of sublime tender curd. Topped with some candied violets and a mint leaf, it suddenly becomes elegant, as well. Bring cream and sugar to a boil; reduce heat to keep the cream at a slow boil for 3 minutes. Remove from the heat and stir in the citrus juices. Let set 10 minutes. Stir again, and divide among six ramekins, or goblets. Refrigerate for several hours before serving. Garnish with candied flowers and mint leaves, or fresh berries. This looks delicious! I have a ton of lemons in my yard. Would you also share the Myer lemon gelato recipe? Thanks, Sarah! The Meyer lemon gelato is coming soon! David, Meyers are my very favorite lemons, and this looks delicious. I bet it is a wonderful summer dessert. 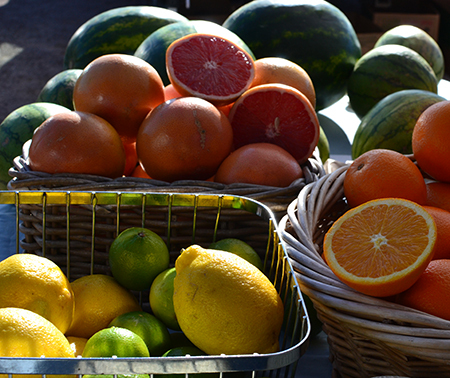 Lori - it is wonderful year-round, and especially when the fruit is ripe in winter! Looks divine, David. My Meyer lemons are starting to fruit now. We are thinking of getting a Meyer lemon tree, Liz - more citrus is better, right? Ahu - this is perfect for a dinner party and can be stretched to 8 portions if you want just a taste! Last year I needed a last minute dessert for friends who were coming to dinner and it had to be gluten free. I was at Trader Joe's and was going to buy meringues, strawberries and cream, but alas, they were out of meringues! Happily, I was on the phone with my friend Cynthia (What a Girl Eats) who suggested I make posset. So I bought cream and Meyer Lemons instead of the meringues. OMG. Sooo easy to make it was unbelievable, and so enjoyable, especially on a hot summer evening! My guests loved it, too! Lovely post as always, David! Christina - How wonderful that you got to eat posset made by Mary Berry! It is the simplest of desserts, and is so refreshing (considering the cream!). Cheri - I also love the citrus blossoms at this time of year - quite intoxicating! We do a themed dinner with friends each month - keeps us all very creative! David - Gorgeous as always! This posset looks divine and with so few ingredients. Thanks, too, for the reminder about the ice cream container as my mine is sitting in the basement no where near a freezer... Can't wait for your gelato recipe. I hope I never get caught with my liner in the pantry again, Nicole! Also nice to offer you a GF dessert! I've eaten posset only once, yet never made it myself. Lime would be a fabulous addition! Dean's small potted lemon tree finally has two tiny lemons growing on it, and they look like they're stayers. A bit of a feat as they always drop off. Perhaps I'll suggest a posset for their use! Whatever you make with those two lemons, John, make sure it really highlights the lemon! :) We only had one orange this year, and we acted as if it were made of gold! I love the title of this post! And the "quizes" were funny, AND I LOVE all things citrus, and this recipe sounds especially delicious. Thanks, Valentina! Stay tuned for the gelato post in April! I make a few types of cheese, David, and this is just a bit harder to make than ricotta. (There's nothing to squeeze when making ricotta.) I am looking forward to making and serving this posset. What a great and unusual way to end a meal. Thanks! It's funny, John - while (in theory) ricotta is easier, mine has always failed. Posset, however, has been a good friend and always worked for me. I need to check your site for a ricotta recipe! I have never heard of this desert but may have to give it a try (with my store-bought lemons). Alas, I would much rather have people leave citrus on my doorstep than zucchini. Dessert/Desert is a mistake I make often, Inger - and I actually live in the desert! 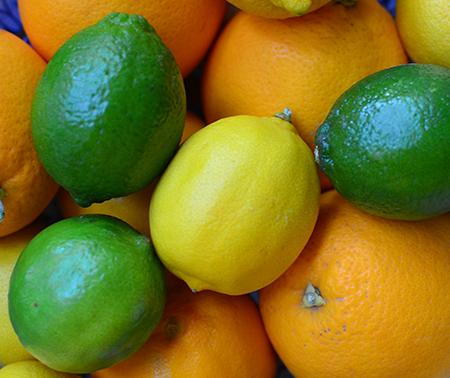 Yes, fresh citrus is much better than zucchini any day! Hi Marcelle - just so you know, I made the posset with regular lemons - and am not sure how Meyer lemons would do. This dish requires good acid! David, we love all things citrus, so this is going on my to-do list! Jean - as much as I love chocolate, I really feel citrus desserts are the best end to a meal. I hope you enjoy the posset! I have to make this tonight!! David, simply a delightul dessert - quite perfect for springtime! Thanks, Andrea - it is really a springy dessert, isn't it? Hi David, Although I read this recipe last week with some excitement as we had all the ingredients and it looks so very simple, but apparently I didn't comment and, sigh, didn't find time to make it either! This week!It intrigues me! I will check with you later. This is a good one to make tonight before when you are puttering in the kitchen after dinner! I can't believe I've never made this David. Love desserts that are not only delicious like this one, but so easy to. Looks like a real winner! And yet you love to make macarons, Jill! They are a bit complicated (just made my first) but worth the work. Let me know what you think when you try it! Oh my goodness. This was sooo good, David. Unbelievably easy and delicious! To quote my sister "this. is. orgasmic..." Thanks for such a delightful treat. I am so glad you enjoyed it, Cathleen! It is hard to believe something so luscious is so easy to make! Happy Easter to you and Aaron, too, Laura! I don't think coconut cream would work because it doesn't have the same curdling properties as cream. Same reason I don't think you can make cheese with coconut cream! Let me know what you end up doing!